Year in Review. Customer Communications and Industrial Applications Drive Print to New Dimensions. Each year we reflect on the culmination of emerging technologies and what it means for both the immediate and future print industry. As consumers become accustom to targeted messaging, the demand for relevant communications continues to rise. The move to digital print is rapid, and it’s a lot to take in. To help summarize noteworthy advancements, we’ve asked industry analysts to highlight key trends in their areas of expertise. Above: Rethink CCM ltd. is an England-based PSP that created an interactive campaign for MyKeys featuring QR codes. The last 12 months in production and industrial digital print stand out for us at I.T. Strategies as a year of steady continuing growth in display graphics, labels, textile printing, and production inkjet—including transactional and book printing. Following drupa, packaging markets began to take digital printing seriously. Significant parts of these markets may become the biggest and most valuable for digital print. Flexible packaging in our opinion has the biggest potential, followed by corrugated print, and then folding carton—in that order. In the flexible packaging market the HP Indigo 20000 continuous-feed, generation-four technology of HP ElectroInk has caught the imagination of converters with a hundred now in the global installed base, and with respectable print volumes. Yes, it is experimentation for the most part. The flexible sector—distinct from corrugated and folding carton—is technologically aware, and seems to particularly like the relative neutrality of toner chemistry in their food-driven world. Some early adopters have taken digital print direct to well-funded, brand-owner driven social media campaigns with real-time feedback to print. It is not going to grow exponentially as a market for some time, but a start has truly been made. Additionally it has sparked experimentation with aqueous inkjet, which a lot of the converters would like to see establish itself. Corrugated digital print also made a big splash in the last year with some of the earliest systems from vendors like Durst, EFI, and HP hitting the market. This is of special interest since different inkjet technologies are being proposed at high production specifications and in quite distinct formats of pre and post print. The corrugated manufacturers have a real, strategic interest in digital. They see its potential to cut print costs and rationalize parts of their large supply chain. For example, picture Amazon printing its own boxes. This is an important and interesting testing ground for inkjet technologies. Production aqueous inkjet has been applied to transactional and book markets over the last ten years, both segments are mostly monochrome and low coverage on uncoated papers. That market moves ahead, but is showing some signs of exhausting itself while needing to turn to higher value coated paper, graphics-type applications. That has begun, but not soon enough for vendors and users alike. Issues around print consistency on standard coated papers and around economics are still being defined rather than consistently resolved. It is difficult and it will surely find a resolution, but nothing in production digital print technology is ever fast or easy. This brings us full circle to new technologies. Landa Corporation held an inaugural customer day around its first beta placement at folding carton converter, Bezalel, in Israel this Fall. What will we be saying about that in another 12 months? We don’t know, but at last there will be something to say from the actual market. 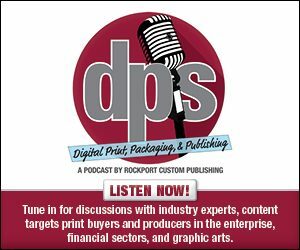 Despite being eight years into an economic expansion cycle, many print service providers (PSPs) struggle to grow and continue to face challenges from displacement of print by digital advertising and workflows; emergence of high-speed, high-quality inkjet presses impact toner and offset presses; and convergence of service providers seeking growth from other applications. Keypoint Intelligence believes PSPs need to focus on three value vectors to achieve revenue growth and profitability. The first vector is cost reduction. Some view this as a race to the bottom that can never be won, and the reality is there will always be a cheaper, hungrier, or more efficient PSP out there. The key is not to be the least expensive, but to be price competitive particularly in this age of procurement-led print purchasing and easy price shopping among internet-based PSPs. Along the cost vector, printers must continually reduce costs for paper, ink, equipment, and labor. While negotiating better prices from suppliers may help, we recommend printers focus on workflow automation and machine productivity. Getting jobs into and through your shop with fewer hands touching them requires an ongoing commitment to process re-engineering and investment in software and training. Improving uptime and press utilization requires a more data-driven approach. Closely examine new high-speed inkjet presses with an eye towards shifting jobs from traditional toner and offset presses. Ultimately, much of the printing industry is headed towards complete factory and supply chain automation. The second value vector is what we call message and content. Here the focus is on making the printed piece more effective and creating a competitive differentiation. It may involve premium papers that can evoke emotion and draw in a reader; higher quality print achieved from better consistency, deeper saturation, higher contrast, or other desired features; or enhancements like foils, special colors, embossing, and die cuts. Significant advances within digital print enhancements are coming from companies including Duplo, MGI, Highcon, and Scodix, and we expect more to emerge. Printers can use data to make a printed piece more relevant, timely, and personal. Combining these elements of premium paper, higher quality, print enhancements, and data can create some of the most effective printed pieces. The challenge for many printers is properly marketing and selling the value. Invest in sales training, samples, case studies, and other tools to show your customers how a well-designed printed piece can stand out and help achieve overall company objectives. The last vector is connecting. This is about enabling market access for industry participants and facilitating a more efficient match of industry supply and customer demand. We are talking about creating or participating in a platform business that connects producers with other participants and ultimately to end customers. Most people regularly use platform-based services such as Airbnb, Amazon.com, Google, Facebook, Shopify, and Uber. Many similar platform-based businesses exist in the printing industry. Platform-based businesses have distinct advantages in reach, scale, and market disruption. While creating your own platform can be highly profitable, most PSPs do not have the management vision and execution skills to successfully develop one. However, you can plug into an established platform to generate new revenue streams and build your knowledge base for the future. These vectors illustrate trends emerging from the industry forecasts conducted by Keypoint Intelligence. We foresee digital printing growth in the print on demand space where two dominant technologies make up the printed output, namely electrophotographic (EP) and inkjet, which combined account for 39 billion M2. EP will be declining by a two percent compound annual growth rate (CAGR) from 2016 to 2021 to reach about 24 billion M2 in 2021 whilst inkjet will be growing at 15 percent for the same period to double its annual print volume to over 15 billion M2 by 2021. Ongoing improvements in inkjet technology such as ink and media interaction, productivity, quality, and reduction in total cost of ownership are key drivers in adoption. From mid-range products to a new class of B1 presses all coupled with workflow automation such as job on boarding, calibration, quality control, as well as improved finishing and embellishment technology continues to drive adoption and page volume. In packaging, a range of mega trends drive digital printing adoption in all fronts. The relentless need by brand owners to reach new demographics is driving the need for mass customization, which in turn becomes growth in SKU or the number of products that are available for purchase online or in the brick and mortar shops. Digital print is growing in all segments including label printing, folding cartons, flexible packaging, corrugated printing, and direct to shape. Though some are in the early stages, the Keypoint Intelligence 2016 to 2021 forecast is indicating continued growth in print volume to the tune of about two billion M2. With corrugated printing at 42 percent, label printing 34 percent, folding cartons 12 percent, and flexible packaging ten percent of the total print volume. These are anchored in continued investments in EP technology, which represents most of print volume today in labels and flexible packaging, as well as explosive growth in single-pass inkjet technology in sheet fed as well as web-fed presses for folding cartons and corrugated boxes. The printing industry continues to evolve and will likely contract in the number of PSPs over the coming years. We expect the most successful companies to be the ones that will push down the value vectors and create cost advantages, improvements in the effectiveness of the printed piece, and new platforms such as digital print, workflow, and automation for better matching supply and demand. 2017 was a time of transformation for our industry in several significant ways. Enterprise businesses were challenged more than ever to keep pace with evolving customer expectations for consistent, high-quality customer experiences (CX) during every interaction, whether it originates from the company or from the customer. One observation worth mentioning is many enterprises continue to only focus on outbound customer communications management (CCM) with little attention paid to inbound communications. As a result, those enterprises are missing opportunities to provide positive, high-quality customer experiences. Understanding that communication can and should always be a two-way medium that includes outbound and inbound communications, enterprises will go far in changing the CX landscape. From the production side, we learned of enterprises recognizing significant and distinctive advantages by incorporating automation for the management of both inbound and outbound communications. Some enterprises have gone as far as employing Robotic Process Automation (RPA), a process of utilizing barcodes, glyphs, and other document features on their outbound communications to subsequently process transactions, manipulate data, trigger follow up responses, or communicate with other internal digital systems—all from scanning the inbound communication. Examples include automated payment processing, messaging back to customers to indicate information that is needed is missing, as well as to enhance operational efficiencies when inbound communications are returned, such as not submitting to case management for further processing until it is in good order. RPA is also used to extract data from external databases to gather required information about customers that will dramatically speed overall transaction processing or similar case management workflows. Another development in the world of CX is the availability of innovative, web-based features within CCM software. Customer journey mapping tools are replacing traditional whiteboard or sticky note approaches; preference management solutions ensure communications are using the right channel and are sent at the optimum time; and of course, interactive web portals that give the business user more control over communication composition and management process without having to rely on IT resources. These users understand the context of the documents they are working with, so giving them control over the document creation process simply makes sense. While still in the early stages of adoption by PSPs, we are seeing some start to leverage a web-based CCM hosted managed services model to give more control over document composition to the enterprise. With significant commoditization already taking place with respect to the production and mailing functions, offering customers value-added hosted services that allow control over composition represents a potential new source of revenue. Finally, a significant amount of technological advancement in CCM capabilities was realized over the past 12 to 24 months. CCM solutions have become more affordable, feature rich, and user friendly and enterprises are faced with the prospect of modernizing their existing CCM capabilities or investing in an entirely new platform to gain more robust capabilities to keep up with the competition and with consumer expectations. Undoubtedly, 2017 has been a year of change and evolution in this market space and we look forward to seeing these trends take deeper root in 2018. Across 2017 we have seen all participants adjusting to the new vision of the global print industry unveiled at drupa 2016. Worldwide across all applications there is moderate growth in market value—1.5 percent, and print volumes remain fairly static. Diving slightly deeper, one can see that the expansion happening is favoring digital production over analog—and within this 2017 has seen the total value of inkjet work overtake EP/toner presses for the first time. The largest growth segment across the next five years will be in packaging print, with many press builders now beta testing and selling higher productivity equipment targeting specific substrate types. The Smithers Pira study, The Future of Digital Print for Packaging to 2022, charts how in 2017 about 3.2 percent of the total packaging print market by value was on digital. Annual growth rate for digital systems in packaging print will be 11.5 percent—by value—across the next five years. New business opportunities will be especially strong in the corrugated board and folding carton markets. These will both see annual expansion at around 25 percent for 2017 to 2022, and represent a strategic target for several equipment suppliers. This will push a combined market value for labels and packaging worth $13.39 billion in 2017 to $23.08 billion in 2022 driven by systems for non-label substrates seeking to emulate the success digital has achieved with label printers. Landa is targeting folding cartons with its S10, the market entry for its Nanography inkjet technology. In 2017, the mainstream corrugated sector has shown demonstrable appetite for high-volume liner and post-print inkjet platforms, with major firms like Bobst, Durst, and HP contesting this new space. Over time, the high-quality inkjet results—much on standard substrates—will prove to be a tipping point for high-volume mainstream production, giving secondary shelf-ready packs and transit packaging buyers’ new opportunities as well. Food and beverages are the two largest packaging end-use segments where primary packs directly face the consumer, and hence there is great focus from brands here on value-adding options, like short-run promotions, to which digital print is most suited. One issue continues to be food contact compliance for inks, especially on the new generation of high-speed inkjet presses onto porous substrates. HP is citing this as a reason to differentiate its corrugated board presses, which employ a water-based rather than UV curing ink chemistry. As print technology matures, there is more appetite for finishing systems that integrate with the latest inkjet printers. While this transition is not complete, digital finishing does offer greater consistency and flexibility, with laser cutting one area of interest. There is also an emphasis on digital coatings and varnishes to build up tactile effects on various media, as well as other embellishment options. Other opportunities for digital—particularly inkjet production—include book printing and home decoration.